The movie is inspired from Chetan Bhagat’s modern day college life epic Five Point Someone, but it has a totally different storyline. 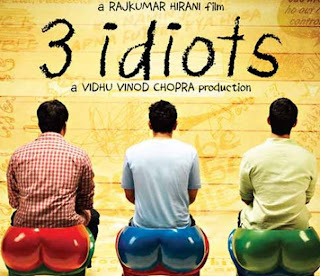 Rajkumar Hirani’s Amir Khan, Sharman Joshi, R. Madhvan, Kareena Kapoor and Boman Irani starrer 3 Idiots is one of the best movies of this year for many reasons. 1. It tickles the humor bone inside you and you’ll surely laugh you’re a**es off in many scenes. 2. A powerful screenplay forces you to remain glued to your seats while its touching scenes makes you shed a few tears too. 3. Most important of all, it makes you think! Particularly, the movie engenders a kind of experience in its (close to)3 hours of run time that each and every parent watching this movie will think and rethink whether (s)he is treating his child the right way. As far as acting is concerned, Amir is fantabulous, and so is Boman Irani. All others also deliver. Dialogues, screenplay, cinematography and direction is top notch. 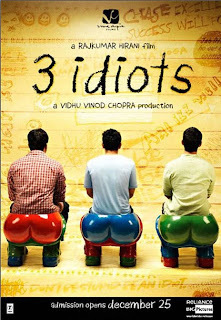 Considering the class of the film 3 idiots has turned out to be, music could have been even better. Though the movie could also have done without an over dramatized climax(in the baby birth scene, the drama quotient could have been reduced!) and a few glitches here and there. Never mind those teeny-weeny shortcomings. 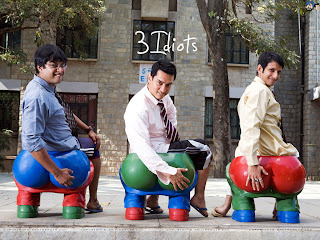 3 Idiots is a must watch. Screw ratings, go and have a great time. 1. One where Lobo commits suicide. 2. When Raju’s mother cries wearing a new saari. 3. When Viru Sahastrabudhe gives his pen to Rancho. 4. When Rancho takes Raju’s father to the hospital. 1. Surely, the best one was the teacher’s day speech by Chatur. 2. Ragging scene in the beginning of the movie. 3. Encounter with Javed Jaffrey. 4. Scene where 3 idiots go to professor’s house. एक दिन गार्डन में सुबह सुबह कुछ हंसते हुए बड़े लोगों को देख कर एक स्कूल जाती हुई बच्ची ने अपने पापा से पूछा, "पापा! ये लोग क्या कर रहे हैं?" पापा बोले, "बेटा इसे लाफ्टर थेरेपी कहते हैं, इट्स गुड फॉर हैल्थ." 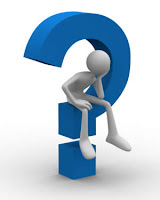 बच्ची बोली तो फिर कल क्लास में जब मैं हंस रही थी तो टीचर ने मुझे क्यूँ मारा? स्कूल पहुँचने में देर हो रही थी, पापा ने स्कूटर की रफ़्तार बढा दी. 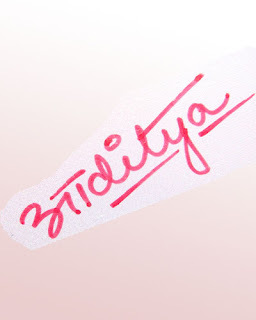 मैं तो बहता दरिया हूँ..
हाँ, शायद मैं 'क्या' ही हूँ..
वो हस्ती ही क्या ! वो ज़िन्दगी ही क्या ! It was yet another cloudy evening. They were standing outside cafeteria looking desperately at the empty street. Clothes almost ragged, dirty, poverty stricken face, hungry, longing for something to eat. Just then a couple walked past, chatting cheerfully and drinking their pepsi. Both 7 year olds(may be older, but they appeared to be 7) looked at them hopelessly. It was when I could bear no more. I went to them and asked, 'are you hungry?'. They said nothing. Luckily I had 2 toffies in my pocket which I gave it to them. Just then I heard a voice from behind, 'Hey you! don't give them any money.' I turned back to explain and saw a faculty member. 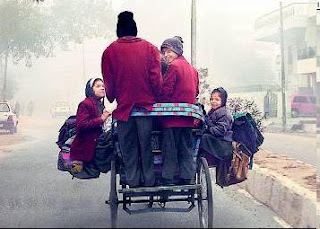 He was carrying 2 pastries, and offered them to the kids. They accepted that with much more delight. I was happy. That faculty member went away smiling. So did the kids. मैं कम बोलता हूं, पर कुछ लोग कहते हैं कि जब मैं बोलता हूं तो बहुत बोलता हूं. मुझे लगता है कि मैं ज्यादा सोचता हूं मगर उनसे पूछ कर देखिये जिन्हे मैंने बिन सोचे समझे जाने क्या क्या कहाहै! 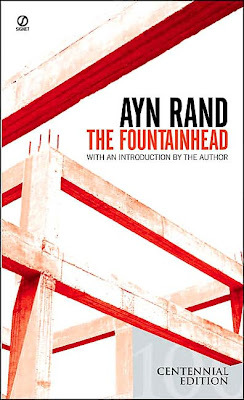 Definitely a masterpiece from Ayn Rand. Philosophy redifined. A must read for everyone whose into reading. A word of caution though, don't pick up the book if you are new into reading - starters stay away for the time being. Anyways, here are few quotes from the book I liked. Peter Keating is basically the opposite of the hero, Howard Roark. He speaks of him here.